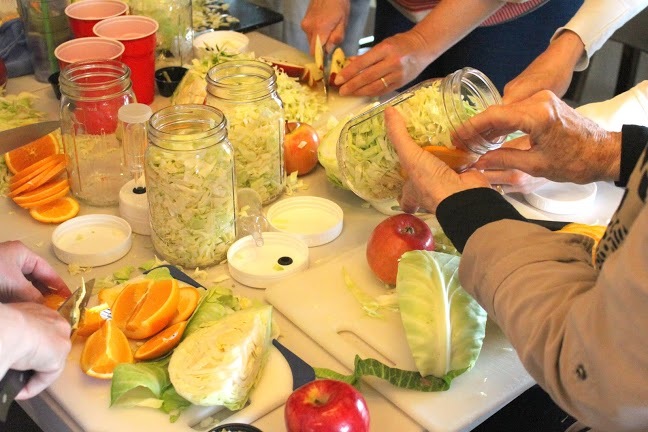 Your Body Was Designed to Heal YouMake Cultured Veggies - But in What Kind of Jar? 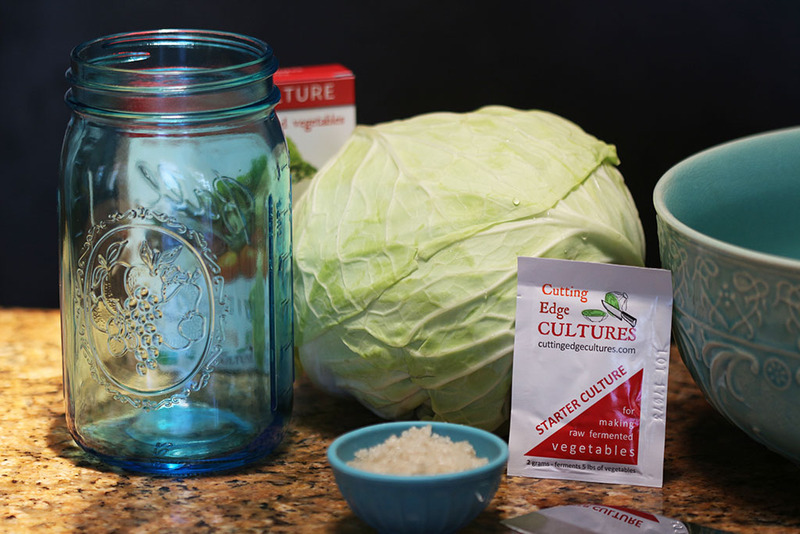 Do You Need A Starter Culture To Make Cultured Veggies? No Cultured Needed — Unless . . .
No, you do not need a starter culture to make cultured veggies. However, by using a starter you will receive more probiotics and a lot of other benefits. Let me explain your options and you can better choose which is the best method for you. I have tried all the methods below and these are the things I have learned in my years of experience and through trial and error, which is a great teacher. I only sell things in my store that I like and use and I will always shoot straight with you about everything that I personally do. Make these veggies any way you can and you will receive some of these benefits. Here are the options and methods used to make cultured veggies. This is, hands down, my favorite culture to make cultured vegetables. Its dairy free, and they specially designed this culture to make the good bacteria stay at a higher level for a longer period of time. When you make cultured veggies they’re at their strongest after the first few days they are made. This is because the cultures are rapidly consuming the food in the veggies and making probiotics, but as they run out of food they start to diminish. This will happen more quickly when you don’t use a culture. At first I thought this was just a lot of hype, but after using this starter in my veggies for years it convinced me. The veggies stay more active even after months in the fridge. This starter also makes these veggies really strong and powerful; so I caution you to be careful because they will start to clean the world inside of you when you eat them, removing pathogens and candida and you will often feel the effects if you consume too much and aren’t used to them. This is a great resource when you don’t have a starter culture, but there are a few things that I want to mention. First of all, if you make milk kefir a lot you will always have access to kefir whey, which is handy. You should always use fresh whey within a few days of making your kefir. Kefir whey that sits a long time, even in your fridge, loses a lot of its probiotics because it is separated from the milk which is its food source. When culturing with kefir whey, it is best to culture in small batches and eat it quickly because it can get a strong taste that I don’t like over time. 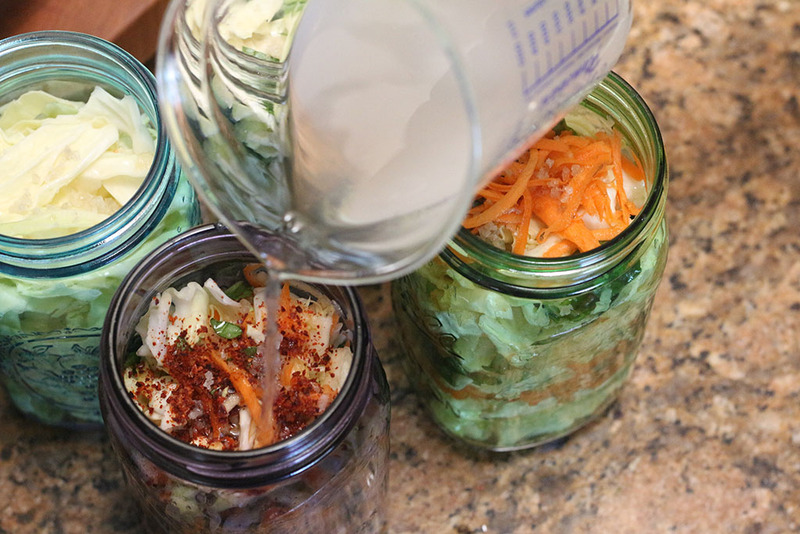 There are a lot of kefir strains of bacteria that will ferment your veggies in different ways, so your veggies will taste different and you will get different bacteria benefits than you would with the bacteria in powdered veggie starter cultures. This is a fun and easy way to make cultured veggies and great if you are limited on resources. Submerging veggies under water and adding enough salt will cause acidifying bacteria to make their own good bacteria; Lactobacilli. It is naturally designed this way that the veggies make their own good bacteria. Over the course of a few weeks, these probiotics diminish quickly as they run out of food, which is another reason I recommend using a starter culture to keep the probiotics at higher levels longer. Still, this is a good way to have cultured veggies and it is also fun to make and super easy. I would double the salt in all the recipes to ensure that the ph is at the correct level you need to cause the proper fermentation. 31 Responses to "Do Cultured Veggies Need a Starter?" Donna, I found it. It’s in “8 Tips.” Silly me. Thanks again. If you have any tips for making the juice I’d appreciate it! Happy New Year again! I’m trying to find the post where you talk about just sprinkling some starter into the mix to make veggies, and I can’t find it. Can you tell me to name of it? I thought I’d saved the info somewhere, but can’t seem to locate it. I’ve been ordering cultured vegetable JUICE from Wise Choice and – this will sound crazy – but I’ve noticed a huge change in my energy ever since – and it’s the only change I’ve made. I’ve been eating fermented vegetables for a long time, but this juice – maybe 5 ounces a day or more – seems to have a more powerful effect. Does that make sense to you? Any thoughts? I’m thrilled, because I’ve never felt so well. But it’s expensive to buy this juice! Thank you again for all your work and encouragement. I sit many hours reading your website, Q&A’s, comments. I haven’t bought any starter cultures yet, but I do use the pro biotic powder from our capsules, with the understanding that they will multiply. 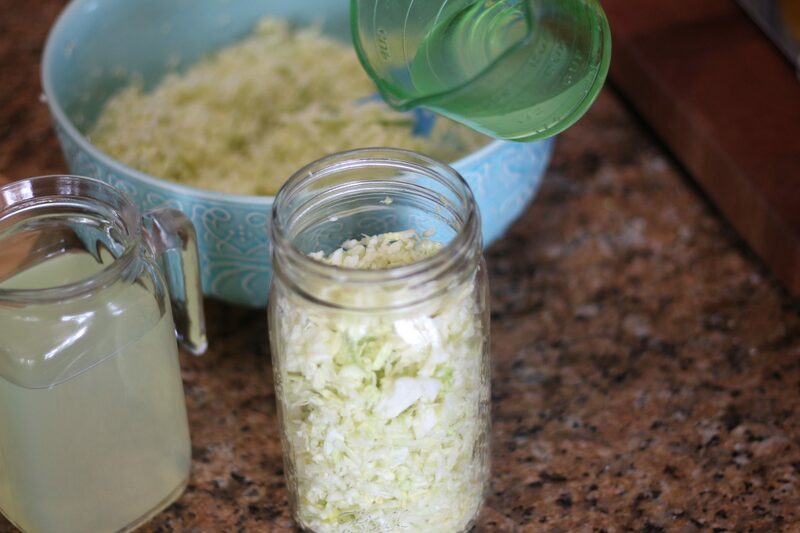 Kim Evans has a 3 day fermenting recipe for sauerkraut, that I have not yet tried, using approximately two billion probiotic microorganisms. I use a capsule of Lifestream Advanced Probiotics in each jar, depending on the size. My jars are 3 liter and 5 liter. I have a large family. 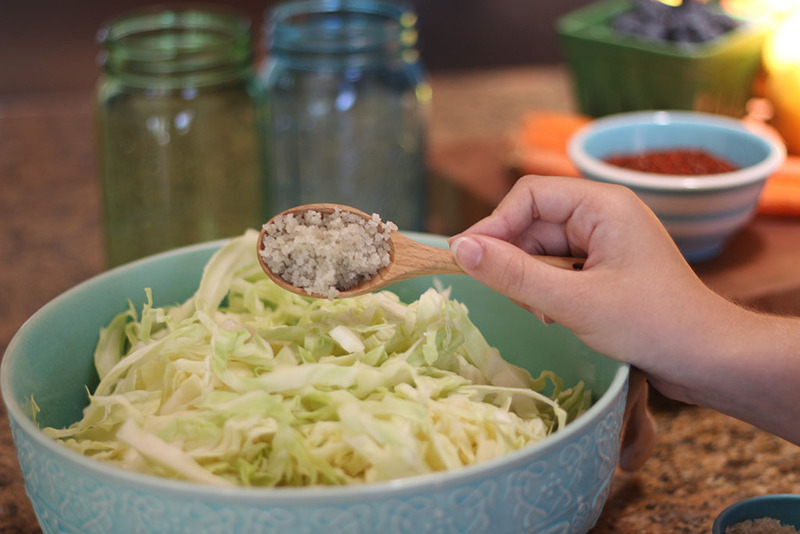 If I think my kraut needs more probiotics I just sprinkle another capsule or 2 in the mix. I have so enjoyed my journey with you over the last two years. My family members have complained about the new tastes, except the sweet pickle relish, but they know the benefits of the good health they and their children enjoy when they use the products. Two of my children in their twenties have both enjoyed the healing benefits, one, after a night and the other, a shot glass, of alcohol, of sauerkraut juice. We all know the benefits of healing our bodies have gained, and I am most grateful that you chose to write of your experiences. So, if any of your readers don’t have the culture sachets available try the probiotic capsules, or even the tablets. I once crushed two tablets to get my powder. I have 3, 7.5 liter tap jars continuous fermenting since June 2014, I refill with 9 4.6 liter jars and 2 8 liter jars. Each has its own scoby. Right now we are having to drink from the jars and I’ve put the new tea I made last night in the tap jars, because It’s going on summer here, so lovely and warm and quicker fermenting time. My kefir grains are still in the fridge awaiting the next 3 liter bottle of pasteurized milk, as the family haven’t been as keen on kefir as kombucha, at the moment. Sign up for my free Ebook on my site at the top of the page and it will help you get started. I am interested in classes so I can get started . Will there be any in the KC area soon? Yes January 24th, 15 and it under the events page or on the right hand sidebar. Hey Donna, thank you so much for providing all this wonderful content! You are so inspiring. I am planning on purchasing your book ASAP, but in the meantime, I have a quick question. I was wondering if you have had much experience with water kefir? I recently got a few water kefir grains and have been making a ton of probiotic kefir water. I actually decided to get a little creative and use the kefir water instead of whey in my cultured dilly cucumbers. It has been less than 24 hours and the jars are already sooo bubbly! I was just curious if you have ever experimented with using kefir water to ferment? I have not but have heard of people doing this. I am not sure of the benefits compared to the other methods but its fun to experiment. I want to start making cultured veggies so much ,but can’t find the starter. Would you consider calling me to so I can give you my master card # as my husband does not want me ordering on line Thank you so much. Ps Or send your # and I will call you.. Send me and email and your phone number at support@culturedfoodlfie.com and I can help you. I make kraut all the time but I thought Id like to try making some pickled cukes. If I want to use the whey from my raw milk kefir. How do I do that? I make small batches of kefir daily. I was only able to strain away about 1/2 cup of whey. Do I add that whey in with water to cover the cukes? Or do I need to submere the cukes in all whey? Also instead of whey can I just use filtered water and empty a probiotic capsule into the water with the cukes? How long will it take to ferment the cukes? 3 – 7 days? Should the cukes be crunchy after fermenting? Thanks so much. Looking forward to getting started. I have just made gingered carrots. They have a crunch, don’t smell, taste fine, but the liquid they are in is clear and a bit “slimy”. No mold on top. Not enough salt maybe? I would appreciate your suggestions on what I did wrong. Thanks!! It’s probably the age of the carrots and they tend to get this way if there not fresh bit they are still ok to eat. I am confused, Sandor Katz and many others who do wild fermentation, say that the full spectrum of good bacteria are not fully developed till after approximately 28 days of fermentation. You say a starter will keep bacteria alive longer. What feeds the bacteria for such long periods using the starter culture? The bacteria in the starter and also the amount of time you ferment them. I had friends that tested them and the ones that were made without starters had no bacteria after 28 days of fermenting and the ones with starters had many after only a week on the counter. Caldwell’s them-self also have more info on this and you can contact them to get their graphs on it. The proof for me was how effective they were on sickness even after months in the fridge when the ones without starters and fermented longer were not. I’ve been making kefir for only three weeks now and love it! To me it is like buttermilk, which is difficult to find without undesirable additives. I’m really excited to start making and enjoying cultured vegetables. I just ordered Caldwell’s Starter today. Hi Donna I saw mold in my sauerkraut I dont know whether to use it or to get rid of it, as am scared of mold. Are there any wrong vegetables to use when making cultured vegetables? Can you store the starter culture once it’s been opened? If 1 packet makes 1 gallon and I only want to a make half gallon, will the remainder “keep” for later ? Yes, you can save the unused portion in the refrigerator. hey Donna. Hope you’re having a good day. My refrigerator malfunctioned and was barely cool for close to 48 hours. Do I need to throw my cultured vegetables away? I have the kraut and broccoli that will be good until Sept. Appreciate your help. They will be fine even if your refrigerated quit working for that time. You are so appreciated for your willingness to share your knowledge and your quick response. I have your book, thanks, I have a question, with a low thyroid, can a person have cultured veggies with cabbage, etc everyday? Do you know if the thing in these veggies gets broken down that is harmful to the thyroid? It is hard to find recipes without these kinds of veggies. I know many people who do great on cultured cabbage even with thyroid problems. Can you use the ‘juice’ left over from cultured veggies to start a new batch? I have added it in addition to the starter a few times thinking it might make it better, but haven’t been brave enough to just use it. Yes, you can use the brine form one to make another batch.